IN a more ambitious avatar, the eighth India Art Fair is taking giant steps to help realign the robust Indian contemporary art story in the global market. It kicks off on January 28 in New Delhi and the two gutsy girls in chargea��Neha Kirpal, the festival founder-director, whose quirky story of conceptualising the fair during a flight from London on an airsickness bag is retold every year, and Zain Masud, the newly-appointed international directora��are trying to turn around the fifth most attended art fair into a bigger success story. Gallerists and collectors are upbeat. The market is bouncing back to life, they insist. Artists are finally looking at realising the ideas they could not take up during recession. a�?The flow,a�? says Sunaina Anand from New Delhia��s Gallery Art Alive, a�?has started. The market is now looking beyond orders and sales.a�? Besides some much-needed pruning, Kirpal and Masud have initiated new segments to broaden Indiaa��s art dialogue. 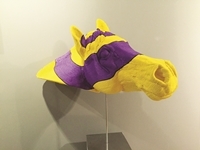 The number of participating galleries is lessera��down from last yeara��s 84 to 70a��including foreign galleries, and 18 new participants who will display their work. But the show is brighter and better, they insist. The curators, art collectors and patrons are pushing the limits to make the best of the situation. 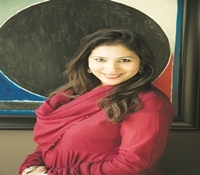 Roshni Vadhera of New Delhia��s Vadhera Art Gallery adds, a�?The market looks positive. I am hoping for more growth this year. It continues to be good for the masters and is improving for contemporary work. 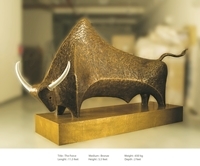 Most of the collectors are educated and take good decisions regarding good quality work.a�? Delhi-based artist Manjunath Kamath will be exhibiting his work, Fire on Tail, for Gallery Espace. a�?The India Art Fair is like the report card of the entire year. We will know about the response from the foreign galleries at the fair and there is no better place or event to feel the pulse of the market.a�? Artist Riyas Komu is placing a lot of trust in art patrons. a�?Looking at the way the art survives, the way art is valued, the prospects seem better. Patrons who have got the power will make a difference.a�? One of Indiaa��s foremost abstract painters, VS Gaitonde is the man of the moment. The record-breaking sale of his work at Christiea��s last December is being looked at as a landmark. His untitled work, created two decades ago, clinched the phenomenal price of `29.3 crore, breaking not only the previous sales records but also reshaping the many notions and trends regarding auctions, artistic influences, colour and form. The fair this year has collectors-based events and initiatives planned with The Guggenhiem, New York and The Museum of Modern Art, New York. The Speakersa�� Forum will include a panel on collecting, featuring high-profile collectors Tariq al Jaidah, founder of Katara Art Centre, Doha, and Haro Cumbusyan, patron and founder, Collectorspace, Istanbul. Kirpal is weeding out repetition. The idea, she points out, is to look inward. a�?The worst thing an art fair can do is to copy another. When the world is travelling to India to see what is different here, we have to create a new and vibrant offering. We have gone deeper this time,a�? she says. There are 14 exhibits by artists including Ram Rahman, JoA�l Andrianomeariso, Krishna Reddy, Wim Delvoye, Julien Segard and Sakshi Gupta. There is a dedicated public art segment to encourage viewing in urban areas and to bring art out of museums and galleries to the people on the streets, shopping malls and metro stations. 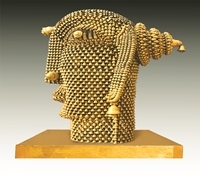 Putting contemporary art from the subcontinent in focus, even as the Indian masters continue to enjoy the brand value at prestigious auctions, the fair is showcasing tribal and folk arts for the first time. The focus will be on Pichwai. BMW will be showcasing one of its art cars, designed by Cesar Manrique, living up to the tradition of exhibiting art cars at international fairs. The inclusion of cinematic influences, a revolutionary idea, will help widen the narrative. Masud has redrawn the geographical boundaries of the event. Her conquest, the first in her new assignment after she took off from Dubai where she was working as fair director at Art Dubai, has been a silent yet marvellous one. For the first time, Nepal, Bhutan, Bangladesh, Pakistan and Sri Lanka will be joining India to evolve the subcontinenta��s global art discourse. a�?We are focussing on South Asia this year, providing a reference point for the rest of the world, in a region that is not always accessible,a�? says the 32-year-old. Platform, a special segment, will showcase works from young emerging artists in an effort to encourage the viewing of works and collectives from emerging artists. Interestingly, Londona��s Tate Modern now has a South Asian acquisitions committee. All eyes will be on foreign galleries like Grey Noise (Dubai), Hafez Gallery (Jeddah), Edel Assanti (London) and Thomas Erben Gallery (New York). The mammoth footfall of 1,00, 000 people in the previous editions is expected to go even higher this year. 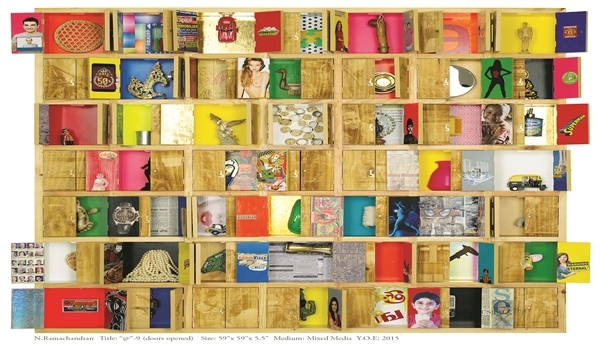 Vadhera says, a�?The India Art Fair will mark the beginning to a good year with its new segments.a�? The cultural crossovers in contemporary art and the exploration of cinematic dimensions are a couple of breakthroughs initiated. The effects of the improving market would benefit the Indian artist, states gallery owner Sharan Apparao. a�?I would look at the market in terms of the younger artists. There are stronger Indian players at the India Art Fair while the situation remains difficult for the foreign players due to expenses. It is the real Indian players who will rule,a�? she concludes. In Conversation chambers: Ace photographer Dayanita Singh has built walls that talk. With her project Museum Bhavan, Singh has built nine mobile nano museums that encourage viewers to form their own personal associations, interactions and deliberations. The project, a a�?living exhibitiona�?, will be displayed at the Kiran Nadar Museum of Art, New Delhi. In Metallic dialogue: KS Radhakrishnan will show Mukhamukham: Face to Face, a sculptural ensemble of Buddha and Brahmin heads in bronze in metallic finish. He presents history in a different light through his work. In Coming full circle: SH Raza, our man for all seasons, will be seen in focus at the India Art Fair. In Biennale select: If 2016 is the year of contemporary art at the India Art Fair, Mumbaia��s Sudarshan Shetty is the face of contemporary art. Shetty will serve as the artistic director at the Kochi Biennale later this year and at the India Art Fair, Sunitha Kumar Emmart (Founder, GALLERYSKE) will talk to Sudarshan Shetty on the Artist and the Gallerist at the Speakersa�� Forum. The old still holds brand value, and the audience. Kumar Art Gallery is bringing a collection of works by Indian masters, from SH Raza to Ram Kumar, Satish Gujral, Krishen Khanna and Paresh Maity. Look out for the 1969 self portrait of MF Husain, Man with Hookah (a tempera work by Jamini Roy) and The Foreman by FN Souza. The fair is reviving the public art movement through Publica 2016, a month-long event showing site-specific works. The second edition will be held in Delhi and Mumbai between January 23 and 29. According to the organisers, the first edition (2013) had engaged over two million people in Delhi. This year, Indian and international artists have been invited to produce works under the curatorial theme, Touch. The works of artists including Gigi Scaria, Anant Mishra, Owais Husain, Deepjyoti Kalita, Krishna Murari, Tushar Joag, Jasone Bilbao, Bhuwal Prasad and Raktim Parashar will be exhibited at spaces that see high footfall, including cultural hubs, streets, markets, metro stations, parks and shopping malls. 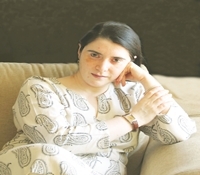 Mumbai-based Anju Dodiya, who believes in a�?regular practicea�? and a�?refuge and rejuvenationa�? in her work, will be showing acrylic on fabric and smaller water colour works that are a�?extentionsa�? of her body of work and a�?things going on in the art practicea�?, at Vadhera Art Gallery. a�?I came across a reference to a prophecy made by a Balkan mystic who has said that the civilisation will live under water in 2130. I found it strange that aliens would push a civilisation under water. It was funny. It was a fantasy and a relief in the troubled times. I have shown lovers living under water and lovers surrounded by pearls,a�? says the painter, adding she won’t be present at the India Art Fair because it a�?is like a huge party and I am not a party persona�?. The visual and performance artist, who goes by her alter-ego, Princess Pea, is launching a series of limited-edition wooden toys created by award-winning Indian craftsmen. The toys mark the first extension of the artista��s renowned character, Princess Peaa��an iconic image, symbolic of the values and rights of the girl-child and the issues surrounding womena��s identity. Her limited edition toy a�?Fall and Rise,a�� when pushed from underneath, collapses and then bounces back to stand uprighta��embodying the resilience of the Indian girl-child. Sharan Apparao, of Chennaia��s Apparao Galleries, admits that buyers are becoming more discerning. Is our digital generation taking to art? a�?Youngsters are showing interest in the blue chip work and work that isna��t completely out of reach in terms of technology, ideas, and issues that concern. Some are actively buying,a�? says Apparao, adding that the record breaking sale of Gaitondea��s work only highlights one particular segment of the market a�� buyers of the blue chip art who are willing to pay the price for that quality of work.